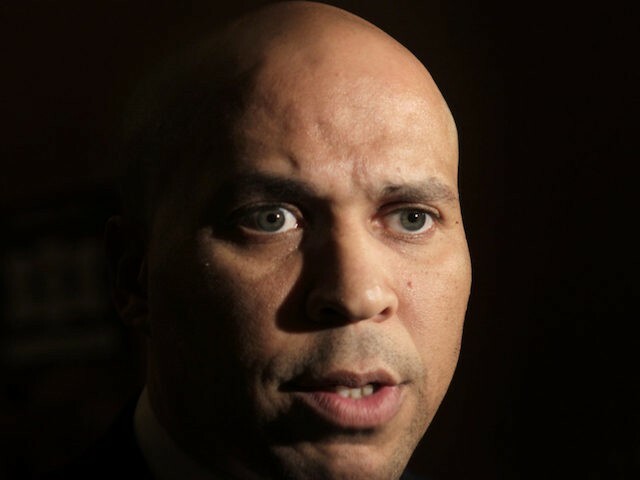 Sen. Cory Booker (D-NJ) circulated an online petition seeking donations and called on President Donald Trump to resign. Billionaire Tom Steyer managed to obtain four million digital signatures off of his recent grassroots campaign to impeach President Trump. With his petition, Sen. Booker joined Sens. Kirsten Gillibrand (D-NY), Kamala Harris (D-CA), and Bernie Sanders (I-VT) in calling on President Trump to leave the White House. Sen. Booker also called Sen. Al Franken (D-MN) to resign, facing increasing accusations of sexual assault against him. The New Jersey Democrat later said that he “was in pain” listening to Franken’s resignation speech and argued that Franken “did the right thing” by resigning from office. Booker then pivoted and suggested that Trump should resign given his sexual assault allegations. And so, that’s why I have such — I was in pain the day — listening to Al Franken’s remarks. Because he was right when he talked about the irony of what he is, doing the right thing, and stepping down from his position voluntarily, and you have a president of the United States sitting there where there is a message being sent to Americans, to young men, to young women that the highest office in the land, a guy sitting there, can get away with doing this behavior. “And I find that utterly unacceptable,” Booker concluded about the president.